Today's outfit belongs to someone who purchased an Engraved Breastplate from me for 3000g on the auction house. 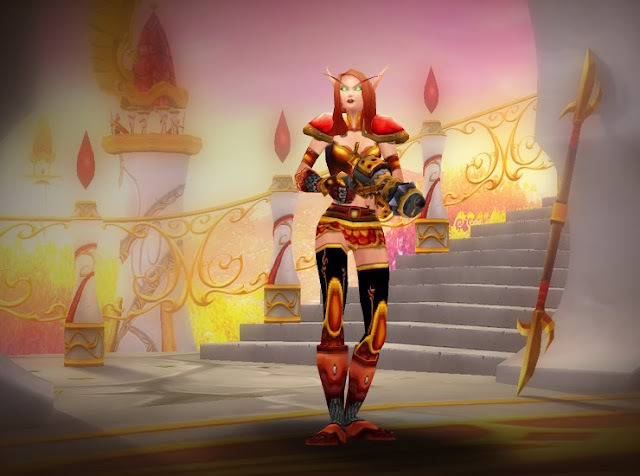 I decided to look the buyer up and was pleasantly surprised with how well their Hunter's red and black mogging outfit works together. Head past the jump for the items used in this outfit.